Vermont PBS tackles the urgent need to protect our water, including issues facing Lake Champlain and other vital waterways in Vermont. Through episodes and town hall meetings, we aim to further a statewide conversation on how all Vermonters can help to save our waters! 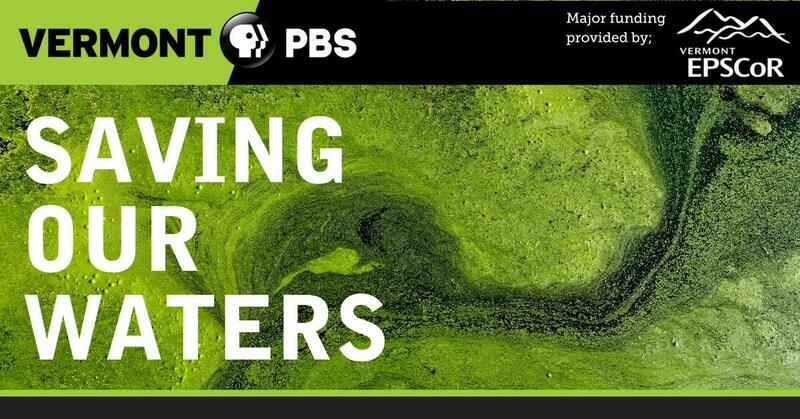 Saving Our Waters, is comprised of three thought-provoking short documentaries covering steps toward keeping our waterways clean; the impacts of phosphorus and other contaminants; and using the science behind the issues to derive solutions that have positive impact on our communities. Featuring interviews with scientists, citizens, farmers, business owners, and dozens of other stakeholders, the series creates a comprehensive look at the health of the entire watershed of the lake, which encompasses approximately 40% of the state. Saving Our Waters aims to examine the state of the Lake Champlain Basin today with an eye toward practical solutions to keeping Vermont’s waterways clean in an age of extreme weather events. Produced by Vermont PBS together with independent producers Fran Stoddard and Vince Franke. Both have vast experience with producing content focused on raising cultural and environmental awareness. Read press release. Watersheds, lakes and ponds, climate change, current efforts to save our waters. Human effects on the lake, current regulations, with an eye toward practical solutions. What government, municipalities, farms, businesses and individuals can do. Vermont PBS hosted multiple town hall meetings in three of the communities most affected by watershed issues. The events are over but we are bringing you videos of these in-depth conversations. Basin Resilience to Extreme Events (BREE) Integrated Assessment Co-Leader UVM, Associate Professor, Community Development and Applied Economics Dept. UVM, Professor, Community Development and Applied Economics Dept. Independent climate scientist at Alan Betts Atmospheric Research, Pittsford VT. Known as Vermont’s leading climate scientist. Vermont Agency of Natural Resources, Dept. of Environmental Conservation (DEC). We all have a shared stake in ensuring that our lakes and streams are resilient to the changes we can expect from changing weather patterns and land uses. Participate in the crowd sourcing of solutions to the challenges we face in the coming years and decades. Friends of Northern Lake Champlain is a non-profit organization dedicated to finding solutions to improve water quality in Lake Champlain. An active, non-profit group of volunteers dedicated to the restoration of the Missisquoi River, its tributaries, and the Missisquoi Bay. The Lake Champlain Committee (LCC), with a history of over 50 years, is the region's only bi-state citizens' organization dedicated to lake health and accessibility. by a Vermont Watershed Grant.